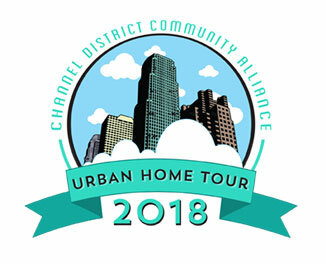 Tour Date: Sunday November 4th, 2018By sponsoring the 2018 Channel District Urban Home Tour, you are helping to celebrate the many lifestyles available to residents of the Channel District. The Tour of Homes is scheduled for Sunday, November 4th, 2018 from 12 PM to 4 PM. It is the signature fundraising event of the Channel District Community Alliance (CDCA).Review & select sponsorship option, and make sure read deadline information below. Payments due by October 10th, 2018. Please let the committee know if you require an invoice for payment. Young Professionals: younger, affluent, and community-minded individuals living in and around the Tampa Bay and surrounding areas. These individuals may be first time homeowners, or in the market to buy, and looking for ideas of Channel District Living. 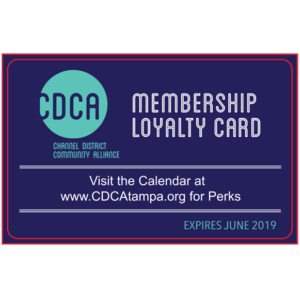 Established Channel District Residents and Business Owners: residents from around the Tampa Bay area whose interests include urban living and neighborhoods. These individuals typically have a higher disposable income and may be attending the tour to gather design ideas for their home or looking for real estate investment potentials. Baby Boomers: like the other two groups, these attendees have a love for walkable, pet-friendly neighborhoods. These individuals also have a strong buying power, and may be potentially looking for design and decoration ideas. Additionally, Baby Boomers are trending toward relocating to urban areas throughout the Tampa Bay area as they as they become empty nesters.